Fishing wacky style is one of the most effective do-nothing methods out there. Stanley sought out to build the best hook system on the market for wacky fishing. 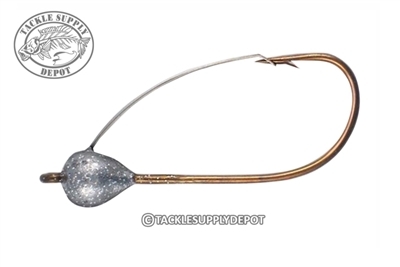 The Stanley Jig T-Wacky Hooks have a tear drop front weight design so the lure will fall naturally. This system gives you a superior hook set. All of the Stanley T-Wacky hooks come with a weed guard and are super sharp.